Daily Mail UK – Hampshire’s Rilee Rossouw has revealed he geared up for his match-winning 125 in the Royal London One-Day Cup final by getting stuck in a hotel lift. Hampshire’s Rilee Rossouw has revealed he geared up for his match-winning 125 in the Royal London One-Day Cup final by getting stuck in a hotel lift. The night before the 50-over Lord’s showdown, Rossouw spent 80 minutes trapped in a malfunctioning lift, capping a turbulent fortnight where he also lost both front teeth when struck by a ball. Rossouw’s stellar innings drove Hampshire to a record one-day final total of 330, and their eventual 61-run victory over Kent. “I’ll take all the bad luck in the world to win a final,” joked Rossouw, happy to relax in victory after two weeks in the wars. 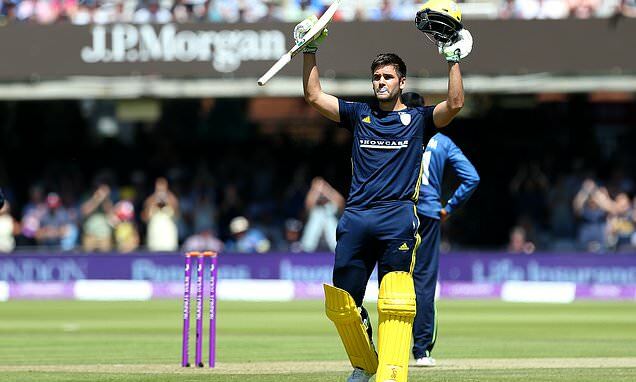 Former Kent star Sam Northeast fired an unbeaten 75 as Hampshire took total control, but suffered a barrage of boos from the Kent supporters in the 20,000-plus Lord’s crowd.